The screen is the star of your gaming experience. If you're due for an upgrade into the 4K/HDR era, you'll like the $1,500 discount we have below. Or if you want to get some good gaming in during your holiday travels, you should definitely see how to save $800 on one of the best gaming laptops. 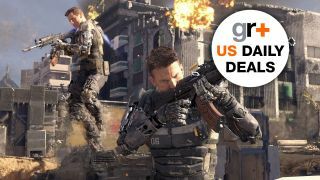 Look through the US gaming deals below and join us again tomorrow for another fresh selection. If you plan on picking up a PS4 Pro or an Xbox One Scorpio, you'll need a 4K TV to get the most of its enhanced graphical power. And you can't ask for much more than a 4K, 64.5-inch OLED screen at a $1,500 discount. This is an $850 discount from list price on a nice laptop for 4K PC gaming. If you want to do some high-quality gaming on the go, you probably won't see a price proposition this compelling for a while.